Have the powers-that-be at News Corporation realized at long last that allowing a venomous bigot to spout the worst kind of conspiratorial accusations might just maybe perhaps be bad for both their credibility and bottom line? The reason we ask is that one of their ranting bobbleheads, whose DWI exploits have not exactly burnished her reputation for integrity, went a little too far and is now paying a small price. One could say with complete conviction that this particular FOX “News” offering is intended for an audience of one viewer. 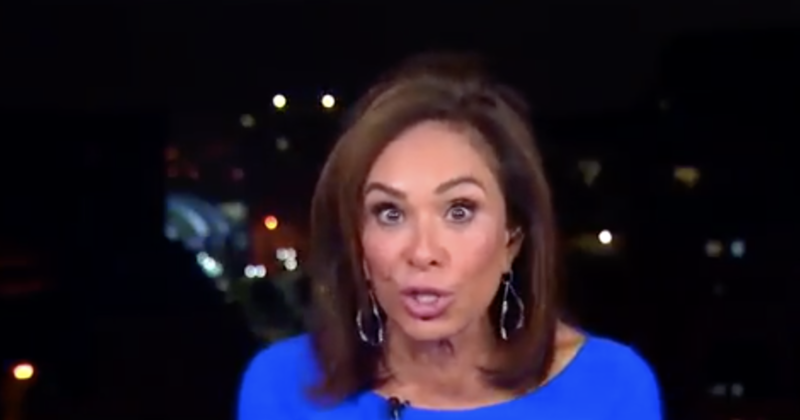 And that certain viewer was miffed that Justice with Judge Jeanine was not on this weekend during evening “executive time. That’s not true. FOX has been known to be publicly vicious to departing dissident talent. In the case of Pirro’s suspension, however, you can practically taste the deplorable tears. Pirro is a favorite of the MAGA cult, and this is the sort of move that will have thousands of them e-mailing and denouncing FOX News for daring to remove an irresponsible voice who feeds their resentment and fury.